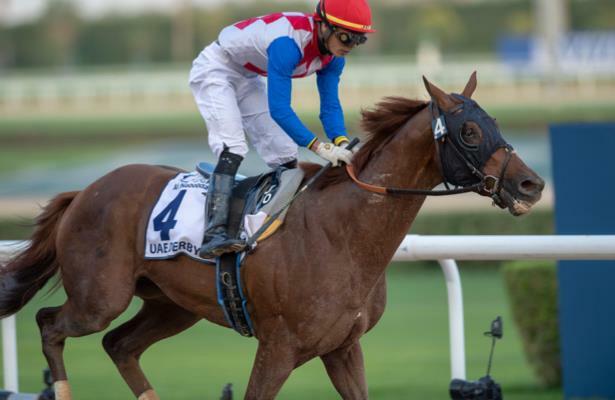 Imperial Racing’s Plus QueParfait, who stamped himself as a 2019 Kentucky Derby starter with a narrow victory in the UAE Derby (G2), is likely to return to the work tab this weekend, trainer Brendan Walsh said Monday. Plus Que Parfait was the runner-up in the Kentucky Jockey Club (G2) as a 2-year-old but began his 3-year-old campaign with a fifth-place finish in the Lecomte (G3) and a 13th-place effort in the Risen Star (G2) before winning the UAE Derby. Arkansas Derby (G1) runner-up Improbable, along with third-place finisher Country House and sixth-place finisher Long Range Toddy, arrived at Churchill Downs on Monday morning following a flight from Oaklawn Park. The colts, who finished behind Omaha Beach in their final tune-up for the Kentucky Derby, stepped off the Brook Ledge Horse Transportation van and walked to their nearby barns shortly after 10 a.m. ET. Also on the flight was the mare Elate, who along with Country House is trained by Bill Mott. Improbable, the first of trainer Bob Baffert’s potential trio of Derby starters to arrive in Barn 33, is 11th on the leaderboard after earning 40 points in Saturday’s 1 1/8-mile test. He races for WinStar Farm, China Horse Club andStarlight Racing. He earned 65 points on the Derby trail. Willis Horton Racing’s homebred Long Range Toddy also made his reappearance at Churchill Downs Monday morning for Hall of Fame trainer Steve Asmussen. The winner of the Rebel Stakes (G2) will be stabled in Barn 38. Gulfstream Park Oaks (G2) winner Champagne Anyone along with Fair Grounds Oaks (G2) victor Street Band highlighted a chilly Monday morning training session at Churchill Downs as they began to ramp up their preparations for the $1.5 million Longines Kentucky Oaks on May 3.